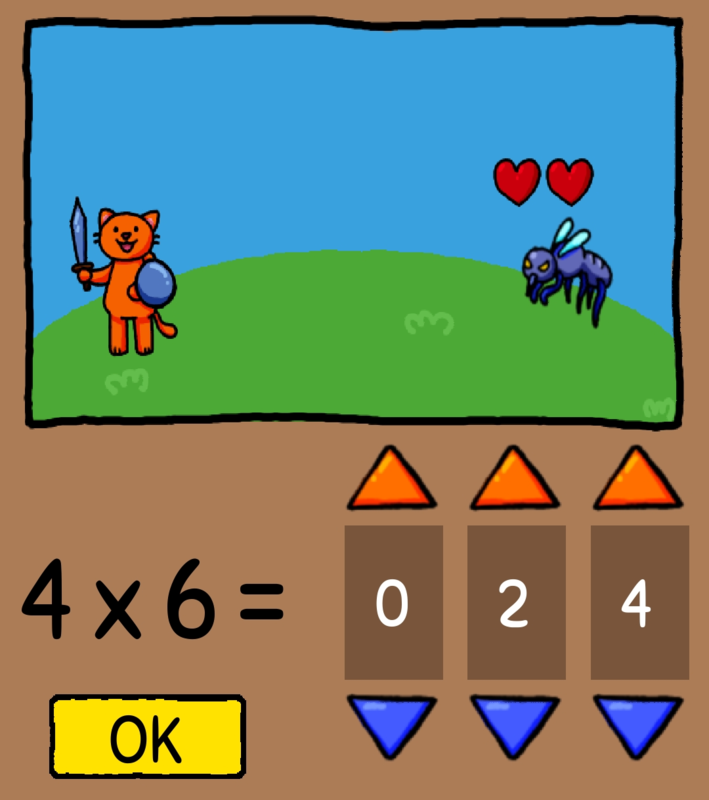 Math Kingdom Quest is a cooperative math board game where one to four students group up to rid the kingdom of the Mosquito infestation! Work together to defeat the Mosquitos by answering math questions. 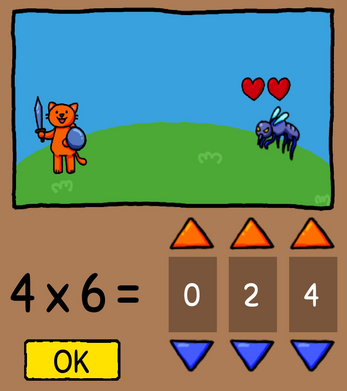 In this game, the students work together to defeat the Mosquitos. One student at a time answers math questions, but others are encouraged to help out and give hints. If a student gets a math question wrong, then their turn is over and the next student can try to defeat that Mosquito. Different grade levels can work together! 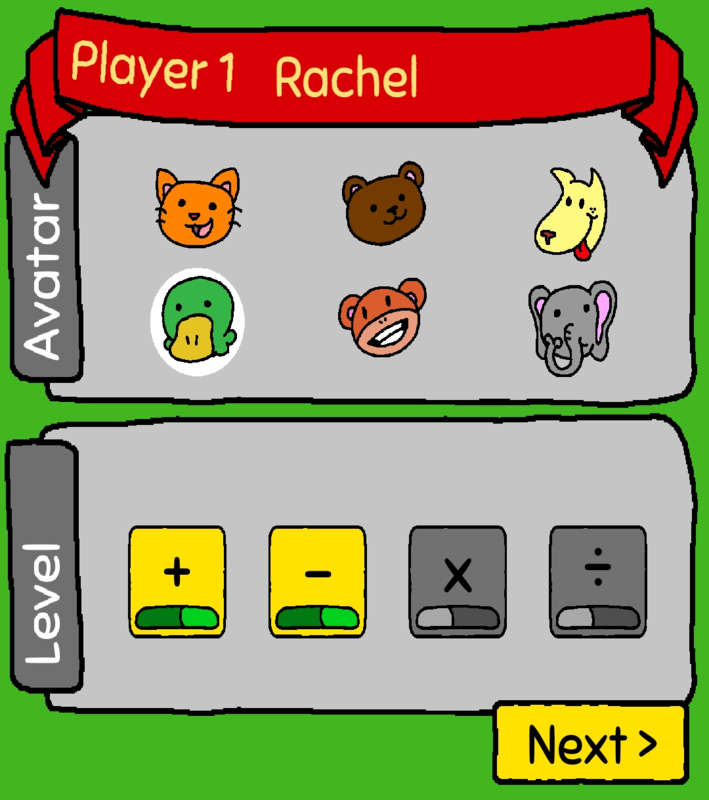 Each student sets up their character at the beginning of the game, turning on or off addition, subtraction, multiplication, and division problems based on their own skill level. This way, a household with kids of different grade levels can play together! Watch real kids play the prototype! Watch Rose, Natalie, Ruby, and Basel play the prototype game together! Kids test out the prototype!